In Ramayana, the most ancient poem written in human history, sage Valmiki describes about a circular city which is towards west of bharata khanda (India). When Seetha, wife of Raama was kidnapped by Raavana, king of Vanaras (humans with tails who wander in forest) Sugreeva sends 4 brigades in 4 directions to search her. To the brigade that was supposed to travel west, he gives a route map which will lead them to Astagiri (Asta = sunset, giri = mountain). He asks them not to travel beyond Astagiri, as that is culmination point in west direction. Sugreeva directs the ‘vanaras‘ to travel towards west from the Vindhya mountains of India, right up to the fourth quarter of the (Arabian) sea, via a point ‘where the Sindhu(Indus) river falls into the sea‘. The Indus joins the Arabian Sea at Karachi in today’s Pakistan. Going along this route, the fourth quarter of the sea would bring the Vanaras to the ‘Persian Gulf‘. Here, Valmiki describes a coastal mountain by the name ‘Hemgiri‘, whose peak is so high that it seems like touching the sky. They will also encounter a waterlogged mountain named ‘Paariyatra‘, which means that they travelled sea-side along the persian gulf. Then he describes Mount ‘Vajra‘, which shines like a diamond – might possibly be a reference to the peaks of what is today known as the Zagros Range. After crossing this, Vanaras would see a structure/city which looks like a ‘wheel with a thousand spokes‘ on Mount Chakravan. This city or structure was built on this mountain by the celestial architect ‘Viswakarma‘. This is where ‘Sudarsana Chakra‘, the weapon of Lord Vishnu was created by Viswakarma. 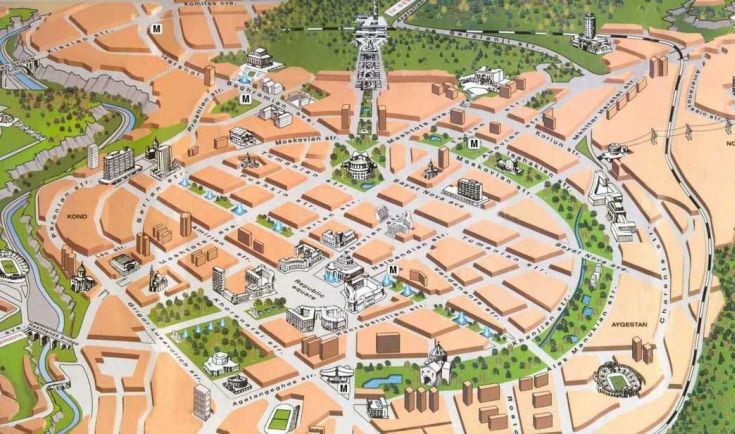 This could be the city of Yerevan in Armenia, which is one of the oldest continually inhabited cities of the world. Yerevan has been rebuilt multiple times on the older ruins over many years but still its original ‘circular’ shape has been retained. 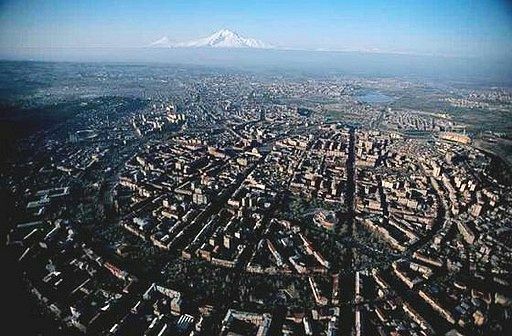 Yerevan city is spread out now but historically the city was located at the heart of the Armenian Highland in Kotayk canton of Ayrarat province. Ramayana says that at a distance of 64 ‘yojanas‘ (between 6 to 15 km) from this city, Vanaras will encounter a peak named ‘Varaaha‘. This may be Mount Ararat of today, which is visible from Yerevan. The Chakravaan city could also be ancient Baghdad, which was also built multiple times on a circular layout. 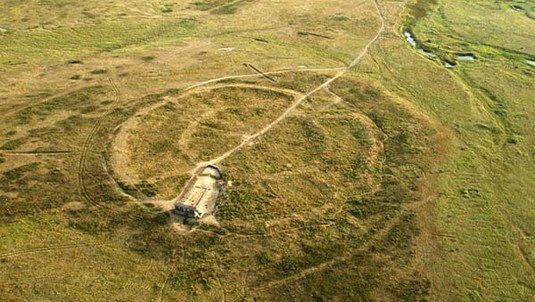 Few researchers assume the circular structure to be ‘Arkaim Circles’ in the ural mountains. But they’re towards north-west of india and have no arabian sea near them.